BMW announces that they will in fact be bringing a six-cylinder-powered version of their new 6-Series coupe to the US. Previously, only the V8-equipped 650i trim was slated for launch. Orders for both trims will begin this fall. Ever wanted to own a BMW 6 Series Coupe that&apos;s not equipped with the more expensive V8? Thought that the only way of obtaining one would be to live in Europe? That&apos;s not the case any longer because the 6 Series 640i Coupe will be making its debut in the US later this year. 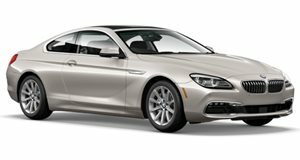 The 640i Coupe gets its power from the N55 twin-scroll single turbo six-cylinder engine that produces a healthy output of 316hp and 332 lb-ft of torque and is mated to a standard ZF-source eight-speed automatic. The 640i Coupe also features a fuel-saving start-stop function. For comparison, the more powerful 650i has a twin-turbo V8 that produces 400hp and 450 lb-ft. The 650i Coupe will debut at Pebble Beach in Monterey, California this August, but the 640i won&apos;t be shown. However, dealers will supposedly begin taking orders for the car this September.